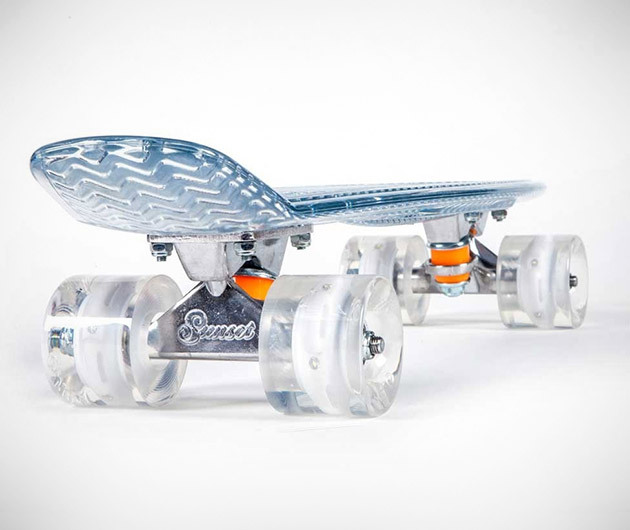 The Sunset Ghost is one of the coolest skateboards you'll find. This board not only looks amazing, but is functional since it glows in the dark and offers a better view of the terrain. Rigged with the best lighting in the industry, the 78a Poly-Eurathane wheels offers great control and movement.